The Dark-eyed Junco (Junco hyemalis) is one of the few birds we call by its Latin name. 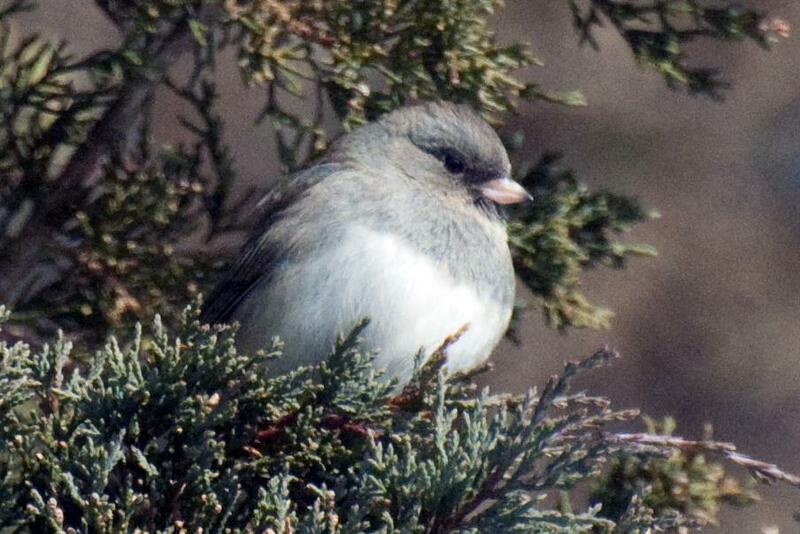 Junco comes from the Latin "juncus" for rush or reed, and hyemalis means "of the winter." Larry Weber and the National Weather Service agree: it's a "nice healthy melt" in the Northland for the most part. But April, he reminds us, is not just a month of floods; since nothing is really greened-up yet, it can also be a month of fire danger. Backyard Almanac: "April can be kind of a weird month"
Our first-half-of-the-month-bears-no-resemblance-to-the-second-half-of-the-month pattern continues, with March setting a record of -19 at the onset and ending up with an average temperature in the 30s. Will April be any less erratic? In 2013, we had 51" (that's fifty-one INCHES) of snow in April; in 2010, we had NO snow in April, and in 1952, the National Weather Service says we hit a record high of 88 degrees April 27th. Piles of dispirited, dirty snow. Sand and grit on roads and sidewalks. Flotsam beached by the receeding snowpack. But Larry Weber, like his beloved redpolls, has returned to the Northland like a harbinger of Spring, and he has a lot more cheerful signs of the season for us to look for. Phenologist Sparky Stensaas has been keeping journals and recording events in the natural world since he moved here in 1981. Flipping back through the pages, he saw entries for the first laker leaving Duluth under the lift bridge: 1997, March 20 ... 1999, March 17 ... 2001, March 17 ... 2002, March 21..."
But even though the Duluth Seaway Port Authority said in a news release this week* that they'll start ice-breaking next Wednesday, the first laker probably won't be leaving any time soon.